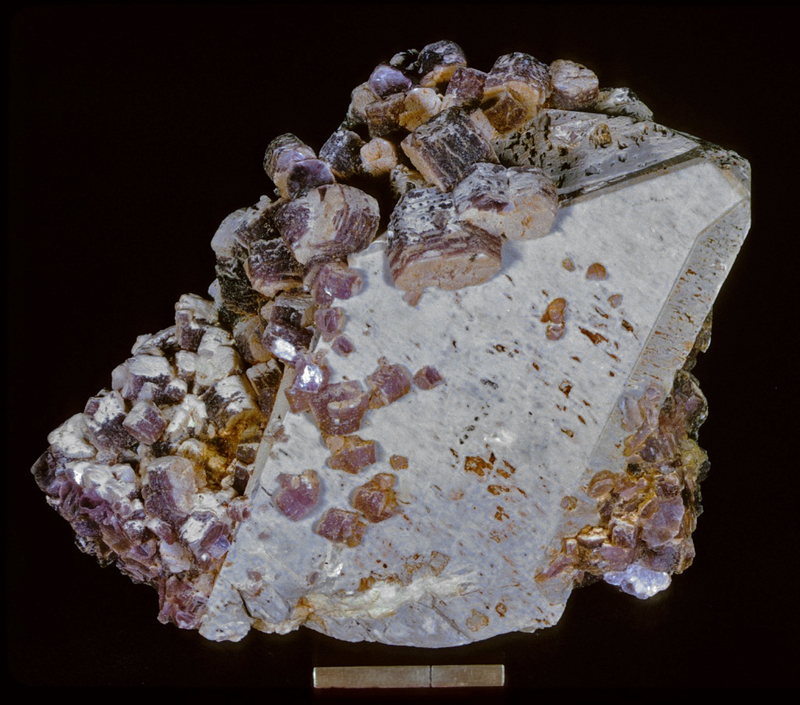 Lepidolite on Microcline. Specimen is from the collection of the British Museum of Natural History #1906,362 (1975). Scale at bottom of image is an inch with a rule at one cm.